Unlike many industries, the hotel industry is one that gets little rest over the festive period. 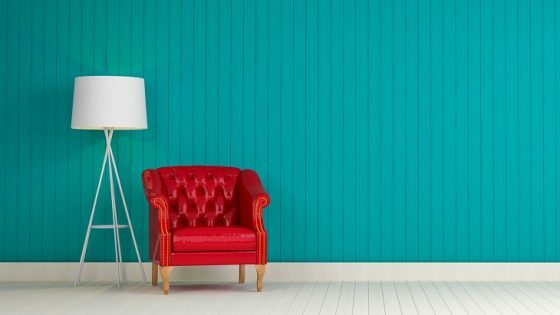 As soon as December strikes, marketing teams from the world’s most luxurious hotels take centre stage to present their properties in the best possible Christmas-themed light. 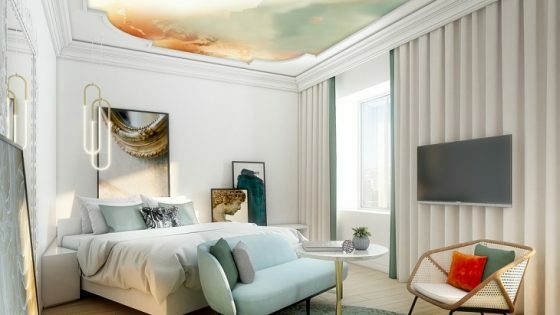 From ice kingdoms to designer collaborations, here are our top picks of the hotels that are showcasing the best winter stories this festive period. 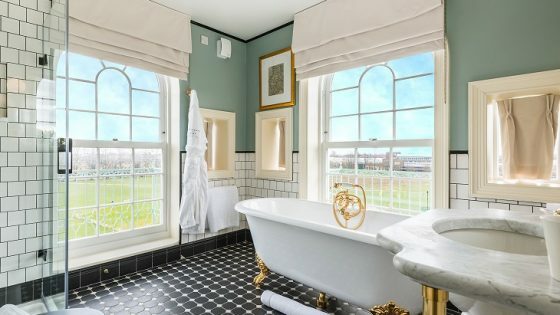 Every year Claridges in London, one of the city’s finest and most-talked-about hotels, unveils an incredible take on tradition. With previous themes including a partnership with fashion icon Karl Largerfield, the task to unveil this year’s talk-of-the-town tree was arguably harder than ever. 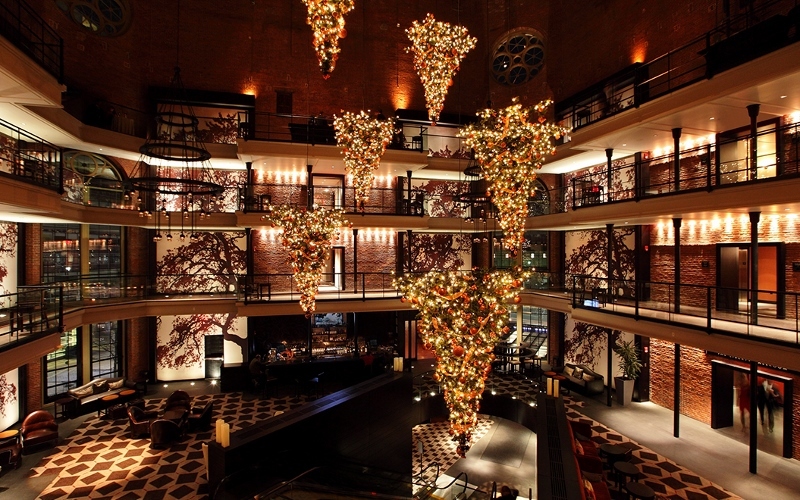 So this year’s tree, which was unveiled on November 27, has been designed by fashion icon and long-time friend of the hotel, Diane von Furstenberg. ‘The Tree of Love’ is inspired by von Furstenberg passion and strong belief in the power of love, symbolising life and nature, and drawing particularly from the creative influences of the astrological world. 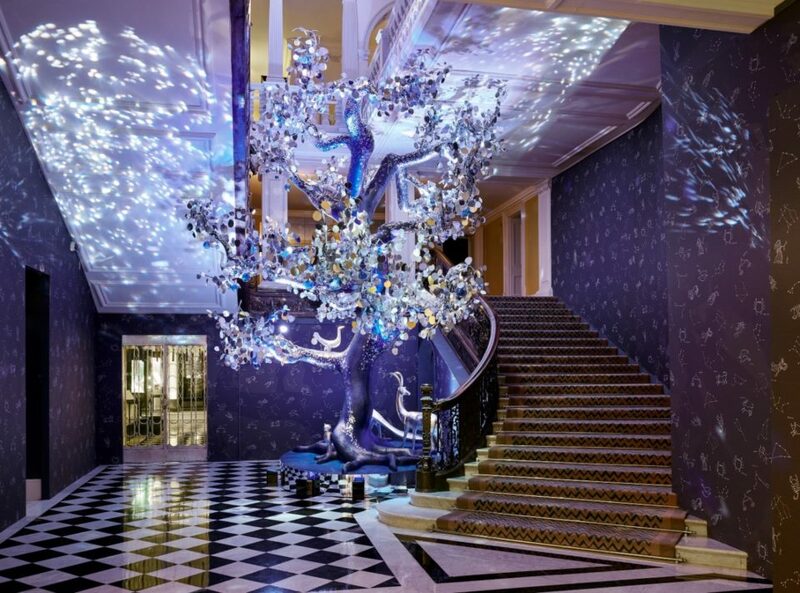 The six-metre sculptural tree is coloured with a blue iridescent lustre and shimmer, and is decorated with over 8,000 hand painted silver-leafed leaves, glass spheres and 150 hand-blown glass hearts. Turning Christmas upside-down, quite literally, six Christmas trees hang from the ceiling of the Liberty’s 27-metre atrium. The eye-catching installation required workers to hang from safety harnesses in order to securely affix the trees which all range in size. If you want to reach the limits of Christmas-themed hotels then look no further than Las Vegas. 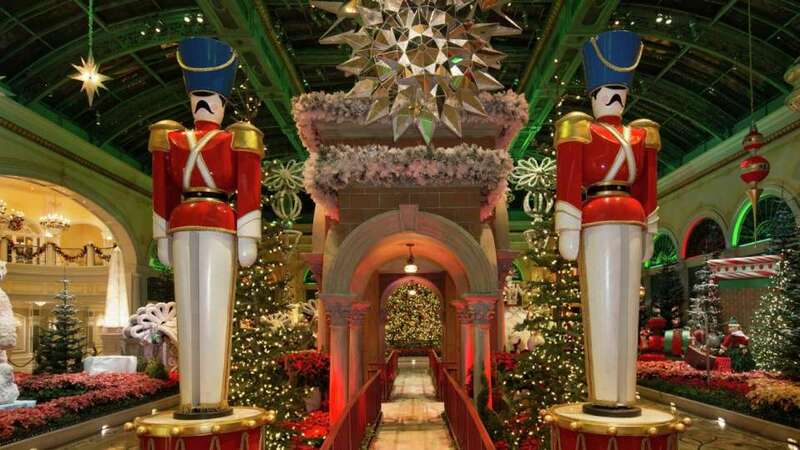 The Bellagio’s Conservatory & Botanical Garden’s 2018 holiday installation is entitled ‘Majestic Holiday Magic’. It features the return of Queen Bellisima, and takes guests on a journey into her enchanted ice kingdom. The south bed houses the queen’s favorite family of Polar bears, playing and welcoming guests as they walk enter the Conservatory. The north bed features the queen’s castle, guarded by her majestic rotating soldiers. Lastly, the west bed holds the main attraction for this year. The holiday tree is a sight to behold, standing 42 metres in height and 18 metres in diameter, and is adorned with many beautiful ornaments. 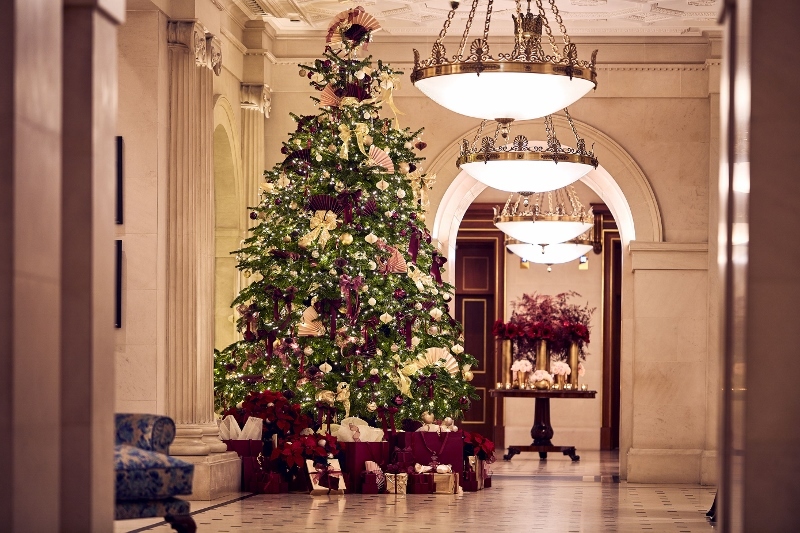 This year’s tree in The Lanesborough has been given the royal nod, which is rather appropriate seeing as the hotel is situated a stones through from Buckingham Palace. The jewellers to the Royal Family, the House of Garrard, have payed homage to its distinguished roots in the 18th century in order to give guests a quintessentially British Christmas experience. 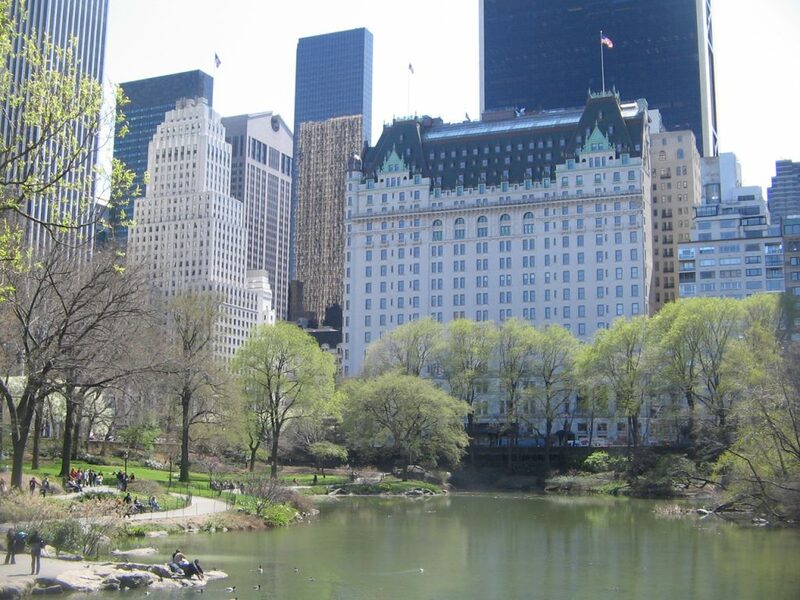 Considering it is the iconic setting of one of the most festive films ever released, Home Alone 2: Lost in New York, The Plaza New York has the power to capture the imaginations of many generations all under one roof. Last year, the hotel partnered with Twentieth Century Fox Home Entertainment to celebrate the 25th anniversary of the film. Pre-Home Alone, though, the luxury hotel has set the standard for luxury and high quality service ever since it opened its majestic doors in 1907.